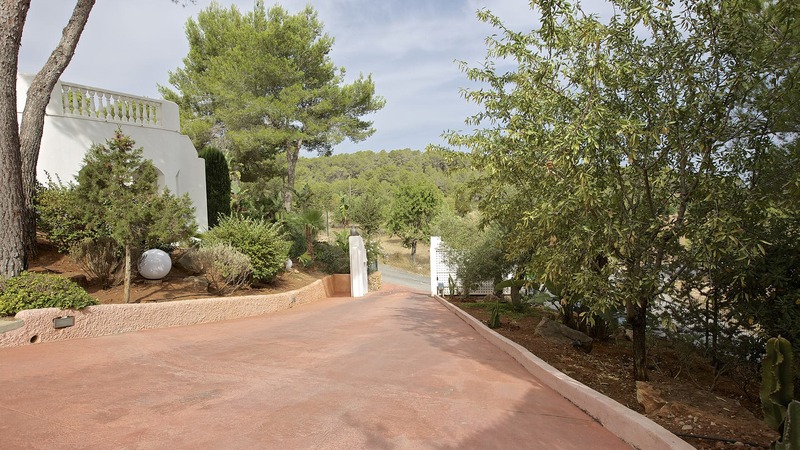 Modern villa situated of 330m2 in the countryside, on a plot between San Agustin and San Antonio. Seaview from far with the bay of San Antonio in the background. Room, Ground level, direct access to the terrace. This bedroom has 1 double bed 180 cm. Bathroom outside the room, shared, With bathtub, shower. This bedroom includes also TV. Room, Ground level. This bedroom has 1 double bed 160 cm. Bathroom outside the room, With bathtub, shower. This bedroom includes also TV. Room, 1st floor, direct access to the terrace. This bedroom has 1 double bed 180 cm. Bathroom outside the room, shared, With bathtub. This bedroom includes also TV. Room, Terrace level. This bedroom has 1 double bed 180 cm. Bathroom ensuite, With shower. Living-room with fireplace, TV (Astra and German Channels). Swimming-Pool of 8,5m by 4m. 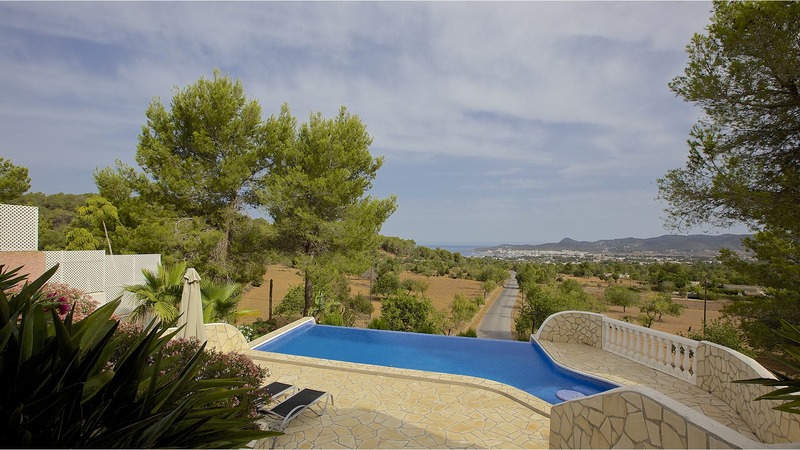 Fully fenced plot of 3.000m2. All the beaches of the West coast like Cala Conta, Cala Bassa, Cala Vadella, Cala Molí, Cala Carbó o Cala d’Hort are within a maximum distance of 15 km. Cala Tarida beach is only 10 minutes away by car from the villa. The village of San Jose is 5-10 minutes away where there are many restaurants and supermarkets. 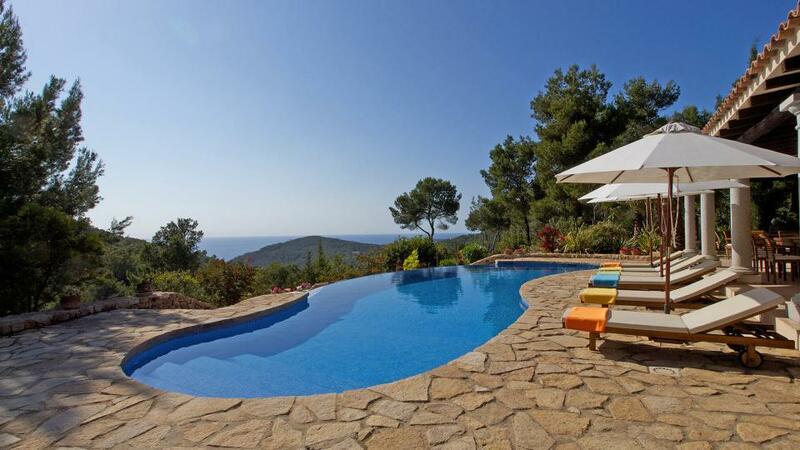 Ibiza town is 25 minutes away by car and the Airport is located 20-22 minutes away.